SX heating cables, the heart of Thermon’s WarmTraceTM system, are specifically designed to maintain hot water supply piping at desired nominal maintenance temperatures. 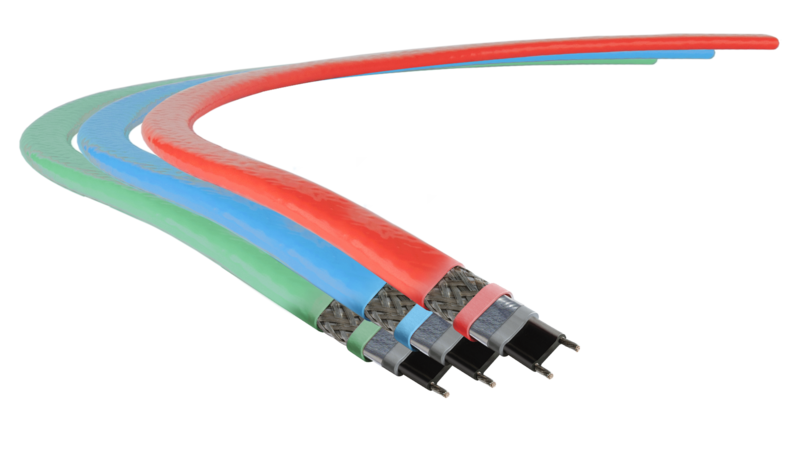 With 14 AWG bus wires (larger than any other system available), HSX can reduce the number of circuits required to install an electric heat-traced system. A WarmTrace system replaces the complex recirculation network of return pipes, circulating pumps and balancing valves. For each hot water supply line, simply match the hot water maintenance temperature with the corresponding color-coded cable and insulate per the design guide. HSX self-regulating cable automatically maintains desired water temperatures. Changes in pipe diameters, flow rates and use patterns will not affect the design. Even variations in ambient or water temperature are compensated for as the cable adjusts its heat output along the entire length of a heat-traced pipe.